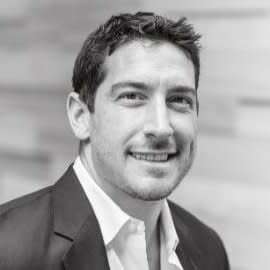 With over ten years of business development experience, most notably as a two-time founder and entrepreneur, Ben Jorgensen is the COO at Constellation Labs. Before being responsible for the fluid operation of the Constellation business, Ben founded and served as the CEO of Klick Push,Inc, an ad technology company that made it easy for Fortune 1000 brands to implement music into digital advertising initiatives which captured the attention of a $50 Billion dollar industry by being awarded 2014’s Ad Tech NYC: Best Emerging Ad Tech Company. Ben led Klick Push, Inc to a multi­million dollar exit in 2015. Ben holds B.A.’s in Economics, Anthropology, and Political Science from the University of Arizona.